How to Save HUNDREDS of £££ PER MONTH When Starting Out with Amazon FBA! Here’s an incredibly simple trick on how to save hundreds of pounds when you start selling on Amazon – DO NOT BUY Amazon marketed software and tools! Simple. End of post. No, seriously – this is something I want to talk about in more detail, as I know there are many people out there who struggle with this and I want to save you time and money on tools and services that you don’t actually need. So here’s the classic story of how it goes – and this is something I went through few years ago too, when I was starting out with my first Amazon FBA business. What you do is you start watching how to videos on YouTube, you start following blogs and Facebook groups – you probably buy a course or two and just learn, learn & learn! You’re in the research stage and want to find out as much as possible about how selling on Amazon works, how to avoid common pitfalls and so on. That’s all good! You’re even reading this post because you want to learn more about this whole Amazon business, right? The problem starts when you see one software being recommended in one YouTube video, then – something else in another video. Then you read on a blog that you definitely need to use this tool for doing X thing. Then you dig deeper and find out that you also need these two services and so on!!!! And when you’re in that research phase you think that you need to use ALL of them to even have a chance of making money on Amazon! You don’t have time to properly learn how these tools work, they seem clunky and complicated to you. You realise that you will have to pay HUNDREDS of pounds in monthly subscription fees to keep using these tools – and that is at a time when you haven’t made a SINGLE sale on Amazon yet!!! And all this drives you mad!!! You don’t know what to do, you get frustrated and start thinking that you need a massive budget to make this whole Amazon business work. 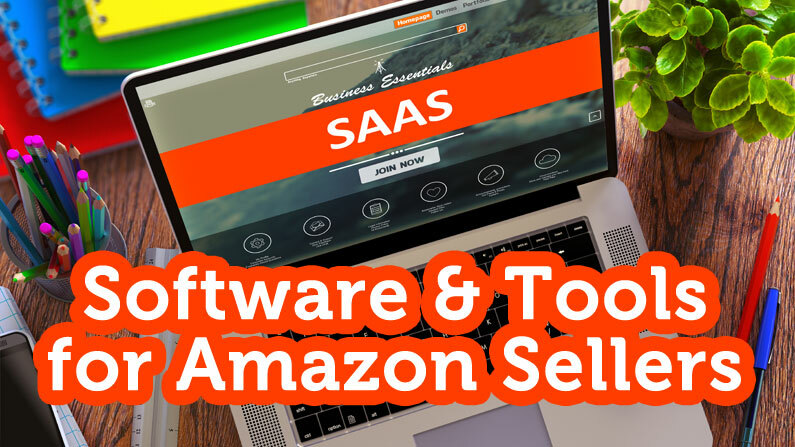 The cost part is particularly damaging – all of these Amazon seller tools, software and services use the SAAS (Software As A Service) model which means you have to pay a monthly fee to keep using the tool. And prices are far from cheap! Usually you pay around $50 – $100 for each such tool PER MONTH! It does not take a genius to understand that all these companies make very good money out of people who are just starting out and are not educated properly on what tools they really need. And the problem is that these tools have been recommended to you and in your head you think that if you DON’T use them you WON’T be successful on Amazon! Let me tell you this – you need almost NONE of those tools/services!!! Especially when you’re just starting out… And don’t worry, I will tell you which tools you do need in the beginning of your Amazon journey! But you can simply forget about everything else until you reach £100k-£200k+ annual turnover on Amazon as a minimum. Until that point you can do many things manually and still be very effective. I’m not saying that all these tools are bad. Far from it! There are many excellent tools and they can really push your business to the next level if used properly OR save you a lot of time and manual labour! But you don’t need them when you’re just starting out! And let me tell you this – many of these tools are actually very poorly made, with glitches/delays and they don’t really help you at all! I won’t name any specific tools here as I don’t want to get into a fight with the companies who create and sell those tools but this is a sad reality and fact. 1) Many of these Amazon selling tools are OVER-ENGINEERED! Often creators of such tools find one small task/problem on Amazon, create software to help with that and then adds countless extra features that are for the most part completely un-needed, then charge $100 because of all those extra features. 2) It seems that people who can’t make money on Amazon by selling actual products create these software products as it’s much easier to sell these tools to newbies than to build a real business on Amazon. 3) Many of these tools are buggy and full of glitches! I have seen this problem with many PPC tools and split testing tools – they don’t actually do what they supposed to do or the data they generate is inaccurate! Seriously, what’s the point of something like that?! 4) Many of them are way too expensive! Seriously, I understand that everyone wants to make money but charging $50 per month for a very simple, one task tool does not sound like good value to me! 5) I don’t actually NEED them! The most important part is that I quickly realised that I could handle many of these tasks in a different way, either manually or even by not bothering with them at all and my business wouldn’t suffer one bit. Luckily for you, you won’t be making the same mistakes as me as you’re reading this post, right? Good! Then let’s talk more about the tools you do actually NEED when you start selling on Amazon! This is probably the most important tool that you simply need to pay for if you want to do an effective job with market research, finding unique/interesting products and evaluating competition. It’s really not worth doing all this manually (it’s not even possible to the degree these tools do it) and money paid for a good Amazon market research tool is definitely an investment into your business and not an expense. There are many tools out there that can help you with this task but my absolute favourite is Jungle Scout – I have been using it for a very long time now and can definitely recommend it to others. I also like all the activities Greg, the owner of Jungle Scout, does on social media and YouTube – his publicly launched products and charitable goals for example. Jungle Scout is a professionally built, reliable and reasonably priced tool. Even if you can’t afford the monthly web app subscription, you can do A LOT using just the Chrome tool alone. If you want to learn more about how Jungle Scout works and how I use it for Amazon research, make sure to sign-up for my FREE Amazon video via the opt-in block on this blog. Another tool that is highly valuable in my opinion is Email Autoresponder software that will automatically email your Amazon customers and ask them to leave seller feedback as well as product reviews. I have seen GREAT success in achieving 5%+ feedback rates with the help of such software and I will cover how I do it in more detail in a separate blog post very soon. Again, there are many tools that do this task but most of them are overpriced in my opinion! I personally use Feedback Five which has worked great for me! It has many customisation options, good reports and reliability and the best part is that it is priced extremely reasonably – you can start using the tool for FREE which will give you 50 emails per month – perfect when you’re just starting out! And then the next plan costs just $9.99 per month and that will allow you to send 250 emails. If you send 3 emails per order, the 250 plan will cover you for 80+ orders per month, which is a great deal for just $9.99. Can you believe it? You only need these 2 tools when you start your Amazon FBA business. Don’t listen to what others say – you can do just fine with these two tools alone in the beginning! And both together will cost you less than $50 per month on the cheapest plans. Then there are a few optional tools I recommend for people whose budgets are not that limited. When you create your Amazon listing, you’ll have to do keyword research to find what keywords are most targeted to the product you sell. This will give you access to the US database – if you want to get UK searches, you’ll have to pay extra. My advice – just stick with the $9 per month US plan! In most cases people in the UK and US will use very similar keywords so I don’t think it’s worth spending that extra money on UK searches. Obviously if you know that there are words that describe your product and they’re different in UK and US English, you will want to investigate it further. So while this keyword tool is optional, at $9 per month it’s well worth the investment. I know, I know – accounting – arghhh!!! We all wish we never had to deal with any of this stuff!!! I personally don’t as I outsource all my accounting but you’ll have to figure out a way to do this in a cost effective/cheap way when you’re just starting out. 1) Xero – very popular accounting software in the UK! It will cost you £22 per month + VAT and it will manage invoices, reports, yearly tax returns, VAT returns and even payroll. While it comes with a learning curve, just like any accounting software, I have found that Xero is really easy to use, has a simple interface and as it’s so popular – there are plenty of tutorials available online. 2) A2X – this is a special tool created to import your Amazon orders into Xero (as Xero won’t do it for you). The starter plan costs $19 per month and will allow you to import up to 250 orders, which will be more than enough in the very beginning. More advanced plans are also available of course for higher order numbers. Again, this tools is built with sellers in mind and offers good tutorials and support. So when you put Xero + A2X together, you’ll have a very good, automated accounting system in place for less than £50 per month. Another alternative is to look for an accountant who can do all this for you but those prices will start at around £100+ per month on average. If you’re not VAT registered and not an Ltd. company, you can of course do your books using plain old Excel and some brainpower. When you do register for VAT though, accounting will become so much more complicated that I’m afraid you won’t be able to keep up with it without using a tool set like Xero + A2X. If you can afford these optional tools in a way that won’t break your bank, use them! If not, just try to use FREE alternatives or good old manual work. You’re now FREE!!!! You can totally forget about everything else for now and just concentrate on what matters most – getting those first products on Amazon and start selling! Many Amazon experts will tell you that you can’t do effective paid advertising without using a dedicated PPC tool! I say – BU***IT! You can! Amazon’s built in dashboard and reports + Excel/Numbers is all you need! And it will actually be much simpler than using many of those paid PPC tools, trust me! I will show exactly what you need to do in the upcoming Amazon Sharks course but essentially – all you need is to check which keywords deliver sales and which don’t! And then adjust your strategy and bids accordingly. Many of those PPC tools are nothing but a glorified Excel anyway, as they too will use the SAME data Amazon gives you. They will just present in a more visually appealing way. “For just $100 per month”. This is mostly used for listing hijackers. Listing hijacking means that someone else starts selling under your private label product listing. So this shows up on Amazon as you’re not the only seller for your product anymore but there are now 2 or 3 or whatever the number of sellers. We’ll talk about this more in future posts but for now – all you need to do is check your listings every day to see whether someone else has started selling under your listings. If they are, you instantly report it to Amazon. This is a huge topic I need to talk about separately but basically, you can do split testing on your own. You can test the main image, title and pricing easily by simply changing these details on your own and monitoring your conversion rate via Amazon Business Reports. You don’t need expensive software to do this. And while I agree that split testing as a concept is great, it really works well for small changes/details IF/WHEN you have lots of sales – like 100+ per day! Then yes, you can make data driven decisions based on split testing data. But if you just get 5, 10 or 20 sales per day, DATA is mostly all crap! Because you’ll see that your conversion rate varies greatly day to day EVEN if you don’t change anything in your listings! And this means that you will never really know whether the increase in sales is attributed to something you changed in the listing OR simply because it was pay day for many customers and they bought more than usual. While tracking your listings for keywords is interesting, it does not actually give you that much help in the ranking process itself. What’s more – with most products you’ll have one or maybe 2-3 main keywords you want to rank for and it will take you just a few minutes to manually check rankings by simply doing a search on Amazon! This is something most people won’t even worry about in the beginning BUT if you do need to build landing pages for outside traffic, you can simply do it using free tools like WordPress. You don’t have to pay $100 for a landing page service!!! If WordPress is too technical for you, I would recommend simply signing up for Shopify’s cheapest plan at $29 per month. There you can build great looking landing pages using free templates AND this will also act as your website for Amazon’s Brand Registry process, as well as a fully functional eCommerce shop! The biggest problem for you won’t be actual stock monitoring or predictions – the importing side/manufacturing side will be. As it can take 2 or even 3 months to get stock delivered to you from the day you place an order in China. This is something I will definitely talk more about in future posts as going out of stock on Amazon is the last thing you want when you’re just starting out. As you can see – no miracles here! You can manually take care of these tasks and save yourself a lot of money! Yes, it may take you 10-20 minutes each day to check on the one or two products you have but you don’t really have to perform these tasks every day PLUS I think it’s still a much better deal than spending hundreds of pounds a month on various tool subscription fees, don’t you agree? Ok, I hope this post will help some of you save money and most importantly – free you up from the feeling that you need all those extra tools to make your Amazon business work for you! Absoloutely killer article, I was planning on launching my product with literally 0 software purchases, and felt slightly insecure about that. All doubts have been removed! Just get the minimum essentials downloaded, and spend your cash outsourcing things you actually need like branding/packaging etc. Thanks Andrew for clearing the confusion. 1) Jungle Scout – Is the Opportunity Score and LQS only available on the Pro version? 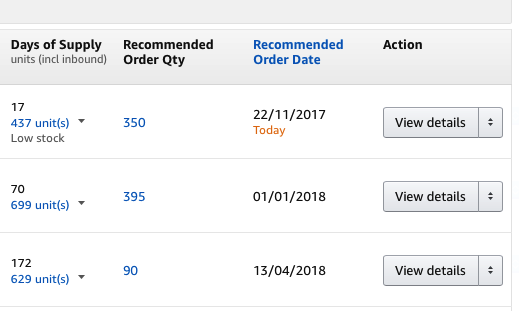 2) With Amazon FBA – If you go out of stock (as it’s clearly difficult to judge demand to start with) what happens with your listing / rating etc ? 1) It could be but I’m not 100% sure – I have always used Pro version so don’t know exactly which data is hidden in normal version. 2) Depends on how competitive that item was and how well you were doing. Theoretically Amazon “freezes” the moment when you go out of stock (BSR, conversion rate, sales velocity etc.) and resumes it all when you get new stock in. This is how it should be but I have heard people struggling with getting back rankings after they go out of stock – need to again do promotions etc. to gain positions back, increase sales velocity. I personally haven’t dealt with this situation yet, in my 3 years of trading, as I always make sure I don’t go out of stock. Only now, this Christmas, it has happened for, first time, due to high demand I wasn’t anticipating, but this is a seasonal item so I only will be able to see what happens next year. Hi Andrew. I didn’t want to ask you anything because I’m sure you’re very busy with the video series that’s coming out in January and you are so generous on your blog – but, well, I couldn’t stop myself. So basically I know my niche. I’m going to be adding unique images to products – let’s say wall art. Would this be classed as private label? If so, can I sell PL goods as an individual? Seeing they are PL do I get the buy box as no one else would be selling the same as me? Or can you not get the buy box as an individual? I’m willing to jump straight in and pay the monthly Amazon subscription though – so if I did this, would I get the buy box with my (I think) PL products as I’m not jumping on anyone else’s listing? By the way, I ordered 200 items from Alibaba, and made the mistake of not getting a sample sent to me. I paid for the mold and thought the photos looked great but when they arrived they were too heavy for what they are meant for. I can’t even sell them for a pound. Lost £700 so a lesson learnt there. I am busy indeed! 🙂 The course is coming together massive!!! Yes, of course – if you put designs on products, usually this is classed as private label, as you’re essentially creating a unique product. And yes, you can sell such products as an individual on Amazon, using the professional account. Buy box is NOT guaranteed but if you have your own listing, use Amazon FBA for fulfilment, in most cases you’ll have that Buy Box automatically, yes. Thanks Andrew. Sorry, just to clarify, I can sell FBA products as an individual paying per item and not the monthly subscription and be buy box eligible? Or do I have to pay the monthly fee and not per item to be buy box eligible? Yes, you can do FBA being as an individual seller. And yes, you can get a Buy Box too. Where do you get such option to upgrade for $150 a year for UK? It actually does not give me those options via active account/upgrade. Will have to cancel and open new account I guess. I’m in the £300k+ Amazon turnover category and completely agree, you can get away with no other costs on Amazon if you do everything manually. I’ve come to the tipping point though on accounts (both Amazon and elsewhere) where doing it with Excel is more error prone and I would prefer accuracy – not to mention trying to extract zero rated sales to none-EU countries takes a while juggling CSV files. Would love an in-depth view on accounting (Xero/A2X or otherwise..) if you ever feel you have time. Don’t suppose you have some tips you can give me on the VAT rates on the a2X setup – I know my accountant should help, but I have a feeling the communication about what all those fees are will not be clear. Thanks for your comment Paul. I won’t be able to help with more details/specifics simply because my accountant has it’s own custom software built up (similar to Xero but specifically built for them, for internal use) and they work with raw Amazon data they get from settlements & those brand new VAT reports (very handy!!!). But your accountant should be able to set-up that mapping in A2X. Sorry to bother you but I’m in the same boat as you. Did you ever sort out your VAT rates on the A2X set up. It’s a bit of a minefield. I don’t suppose you found any tips or details on how to set this up. I’m struggling to find any.